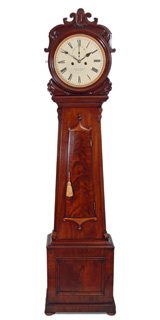 Buying a Grandfather Clock (or a 'longcase clock' as they are known in the antiques trade) is a big decision and one that should be taken carefully. 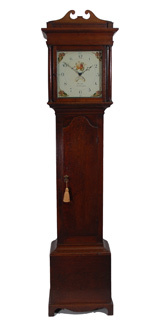 Most are around two hundred years old and will continue to give service well after they have been 'handed-down', so it is not a decision to rush. 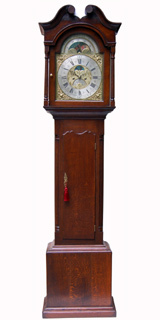 We offer a carefully selected stock of grandfather / longcase clocks from various parts of the Country. 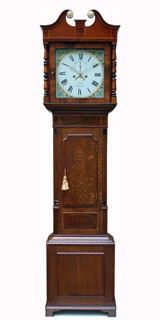 We perhaps favour North Western clocks but are happy to retail a clock from other areas if we are offered good examples. 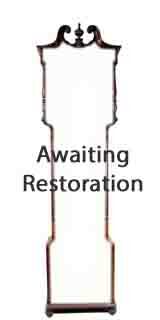 They are restored to the highest standard and fully guaranteed. 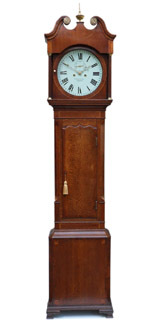 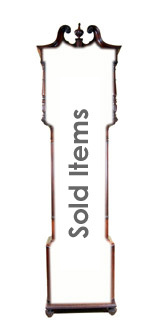 All the clocks are available for viewing and we can offer a Nationwide delivery and set-up service.